Sling TV has gone through multiple evolutions since it debuted at CES 2015 (winning our Best in Show award that year in the process). Since then, it’s become an ever-present option for cord cutters looking for live TV without the bonds of cable. Most recently, Sling has added free content from its channel selections for a select group of Roku users who aren’t already Sling TV subscribers, including titles like Shameless, The Big Interview with Dan Rather, and Heartland. In an industry first, Sling, which is owned by satellite television provider Dish Network, also launched the ability to sign up for individual channels on an à la carte basis. The company is also rolling out a new search interface to make it easier to find what you want to watch. Sling TV’s multiple channel options and constantly updated list of features make it surprisingly complicated, and there are also plenty of competitors looking for your cable-cutting dollars. To help simplify everything Sling has to offer, we’ve put together a comprehensive, hands-on evaluation so you can see if it’s right for you. Dish Network would still be happy to sell you 250 channels for $85 per month, and it doesn’t intend Sling TV to replace full-blown satellite service or cable. Instead, it hopes to meet the needs of cord cutters (those who quit cable) or “cord nevers” (those who never had it), who can’t get everything they want from traditional streaming sites like Netflix, Amazon, and Hulu (though Hulu has gotten pretty close). That’s what makes Sling TV’s inclusion of sports networks like ESPN and NFL Network so attractive — livestreamed sports are hard to come by outside of a contract. Sling TV’s selection of channels was lean to start, but it’s regularly being beefed up, and the channels it does offer (listed below) are fairly popular. A recent addition includes E!, the channel best known for its so-called reality shows, Keeping Up with the Kardashians, Botched, and Very Cavallari. The service also offers video-on-demand from a handful of the channels it offers, as well as movie rentals. Best of all, Sling TV requires no signup fee, no contract, and you can test it out with a one-week free trial before fully diving in. One big change in recent months is the removal of the Broadcast Extra add-on, which included ABC and Univision. 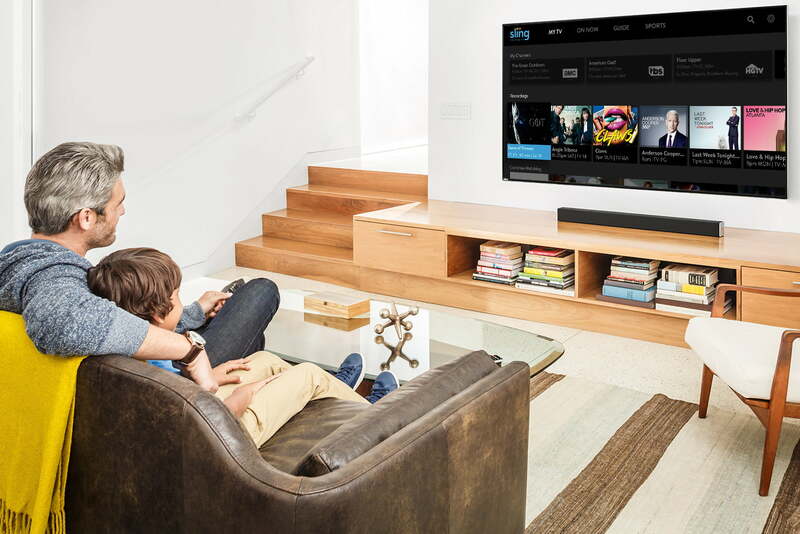 Below, you’ll find charts for each of the base Sling TV channel packages, followed by a listing of the channels included in add-on packages starting at $5. The number of available channels for each package has grown and changed over time and is likely to continue expanding and changing into the future, but our guide is regularly updated as things change. Listings here are up-to-date as of February 2019. A quick glance at the above listings shows that there are some major differences in channels included with each of the package options. 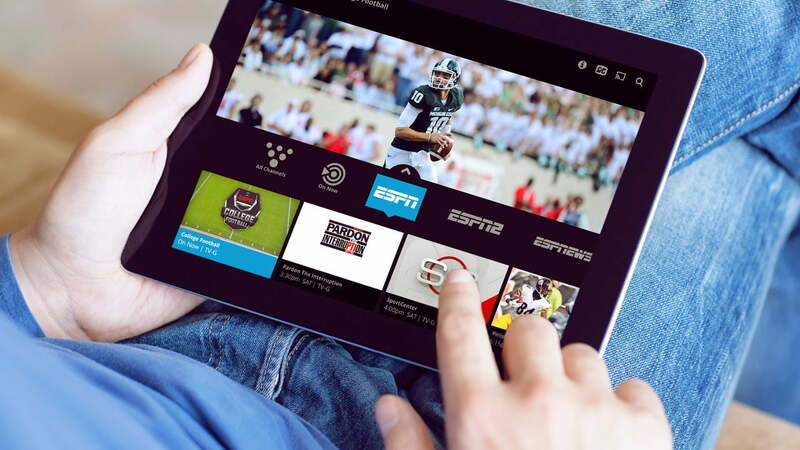 Sling Orange includes multiple sports channels, most notably a suite of ESPN channels including ESPN, ESPN 2, and ESPN 3. Sling Blue, on the other hand, drops the sports but adds in networks like FX, and Discovery, plus Fox and NBC in select markets. Each package can be upgraded with a Sports Extra add-on, but each add-on is different. The Sports Extra add-on for Orange costs $5 per month and includes football, baseball, basketball & hockey coverage on ESPNU, ESPNEWS, SEC Network, NHL Network, and, NBA TV. Meanwhile, the Sports Extra add-on for Blue costs $10 per month, giving you access to NHL Network and NBA TV, but also NFL RedZone, a virtual must-have for football fans. If you’re looking to keep costs low, you’ll have to pick between the two above options. Luckily, for those who don’t mind paying extra, there’s a third option: “Sling Orange and Blue,” which includes all the channels from both Orange and Blue packages for $40/month. It’s a bit more expensive, to be sure, but you won’t have to decide between live sports on ESPN with Orange or network streaming with Blue. Game of Thrones is one of the most popular shows on TV, but unless you're a cable subscriber, finding a way to watch isn't always easy. Check out our guide on how to watch online, whether you prefer using HBO, Hulu, or Amazon.